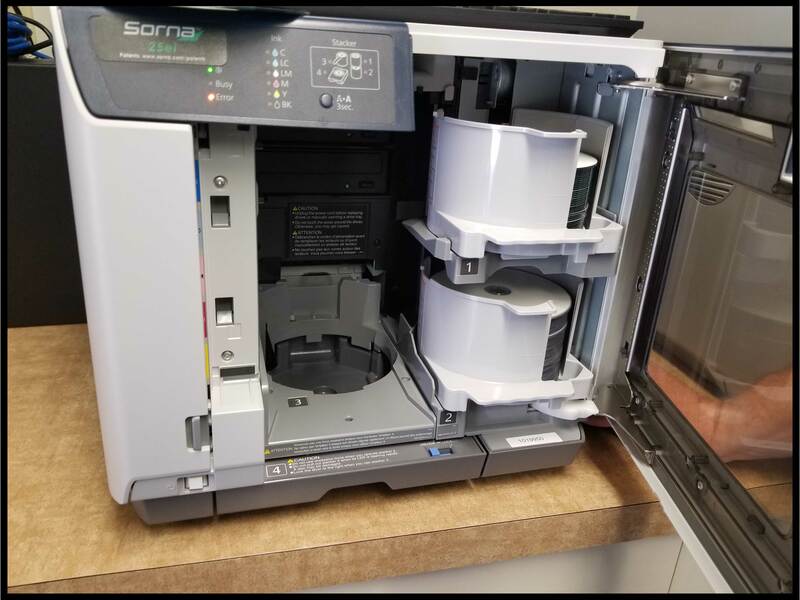 How do I refill the disc bin in my Sorna printer? 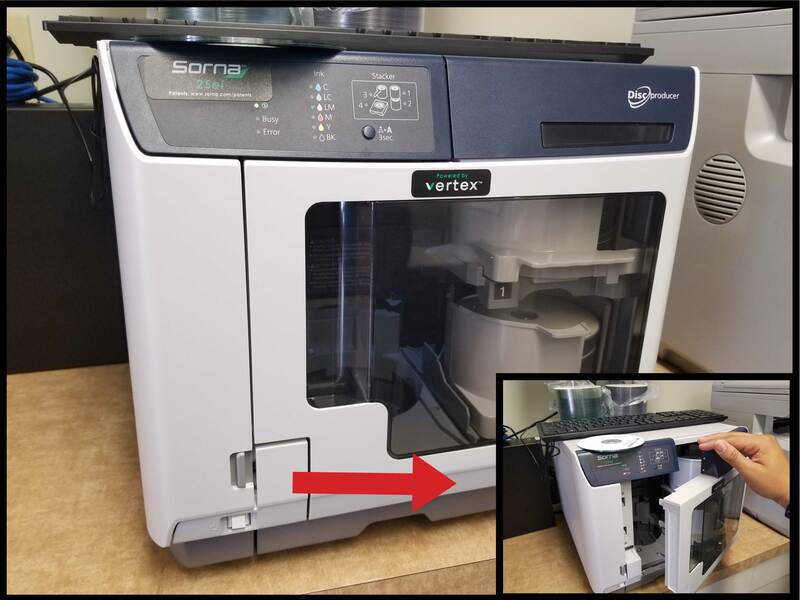 Step 1: Locate the Sorna printer and open the door (verify no jobs are currently active when doing this). 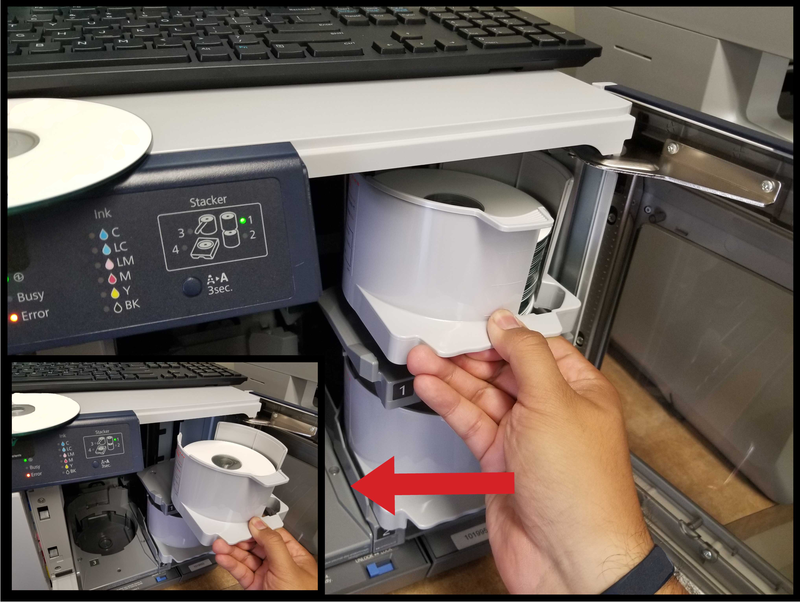 Step 2: Identify which disc bin needs refilling and pull the disc bin out. (if unclear which media will be installed, contact your site administrator). 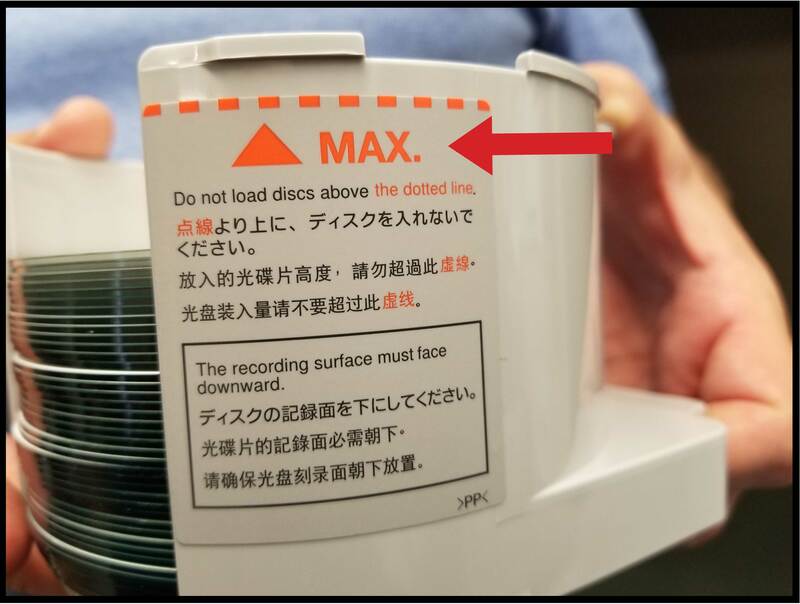 Step 4: Verify the disc bin is not overflowing. Step 5: Reverse steps 1-3 complete installation.